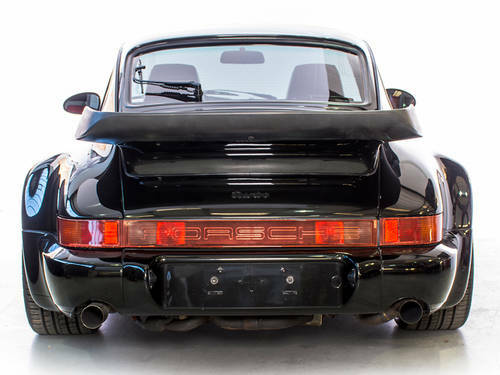 This 1991 Porsche 965 (911) Turbo is finished in the unique combo of Metallic Black over Matador Red leather with 117,360km (~73k miles) on its original engine and transmission. The car was made for the European market and sold in Italy, It was then sold to an owner in Japan. The car comes with nearly $150k (£115K) in service records including a $45k (£35K) engine overhaul in 2006 that included the addition of a Blitz K5C-470R turbocharger, Motec ECU, and ‘Big Red’ OEM braking system. 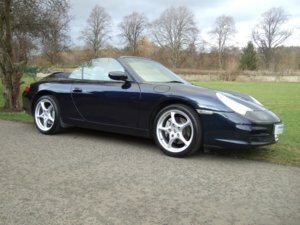 More recently, the car has been fitted with a coil-over suspension and RH 3.6 Turbo-style wheels. The body is largely original outside with the exception of an HID headlight kit, the body is straight throughout with one ding noted on the driver’s side door. 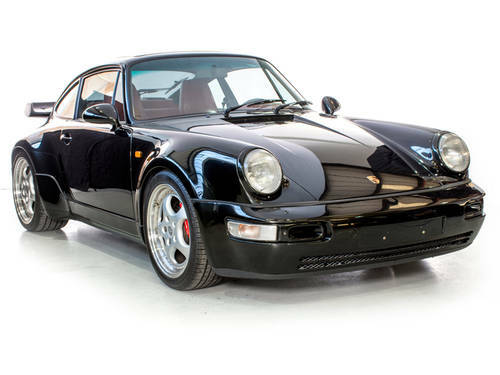 Metallic Black paint shines nicely from all angles and the seller says it is apparent that this Turbo’s two Japanese owners took good care of the car. 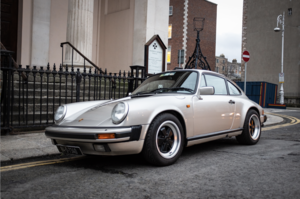 The paint is described as having an even finish, and the seller believes it retains original body panels. The top of the driver’s front quarter panel, hood, and roof have been repainted, though no evidence of an accident or panel damage has been found. The factory spare, jack, and toolkit remain in place. 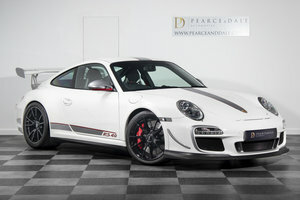 The car has been fitted with an adjustable coil-over suspension system and RH 3.6 Turbo alloy wheels. Tires are one-year old Pirelli P Zero Rosso tyres and a front strut bar has been added to stiffen up the chassis. Brakes were upgraded with ‘Big Red’ OEM units, which reportedly provide very good stopping power and precise pedal feel. 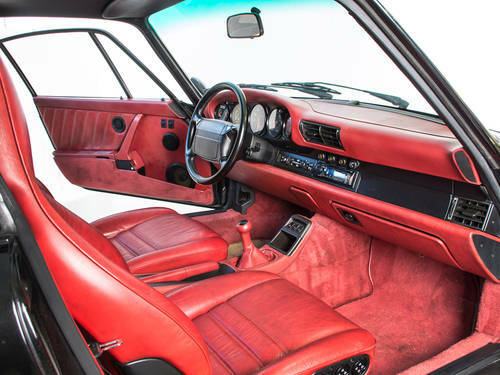 The Matador Red interior has been well-preserved with soft and no cracks leather. The door panels, rear seats, rear side panels, parcel shelf, headliner, and dashboard are all described to be in good condition. The dashboard looks to be crack-free and in nice shape. 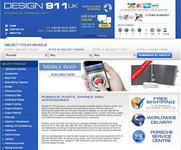 117k kilometres are believed original based on service records and documentation. All instrumentation is functional though the fuel/oil gauge is noted to have some cloudiness and the tachometer hangs low and will need repair. 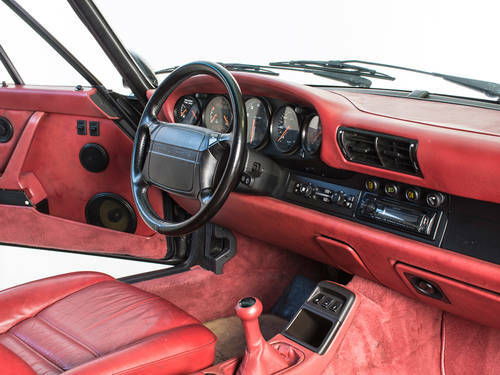 An Andial boost gauge replaces the clock on the instrument cluster and a Kenwood CD stereo head-unit has been added. A trunk-mounted kill switch has also been installed. In 2006 at around 80k kms, the original 3.3L engine was given a $45k overhaul that included the addition of a Blitz K5C-470R turbocharger, Motec ECU, HKS blow-off valve, and the Andial boost gauge. The car retains its factory G50 five-speed transmission and the seller notes smooth shifts in all gears. Clutch condition is said to be good with low pedal travel and no slipping. The engine is reportedly free of any noted smoke on start-up and power is said to come on quickly with a nice exhaust note. Included with the sale is an extensive service file that is said to cover nearly $150k in maintenance from the two prior owners. 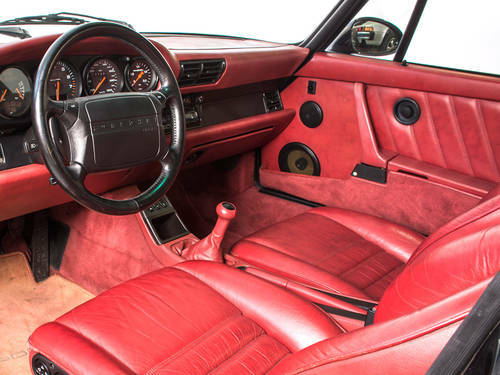 There records are in Japanese, but based on their volume and the mechanical and cosmetic condition the car appears to have been well-kept throughout the years. 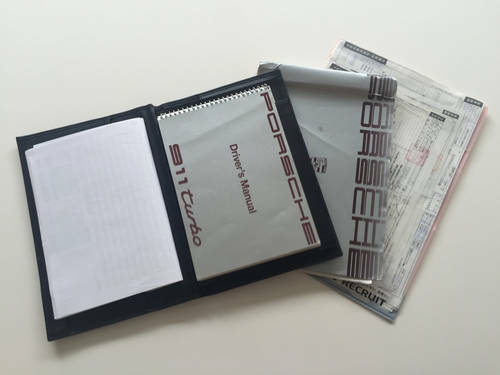 Original manuals are present. 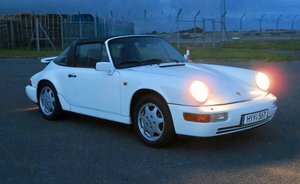 This 3.3L Turbo is offered in a good colour combination with extensive service history and a few high-quality modifications. The seller says you better be paying attention when the boost comes on and the car is very fast and fun to drive.